Steve Dion and Paul Valencia talk about the Columbia River Chieftains. Can they contend for the league title? 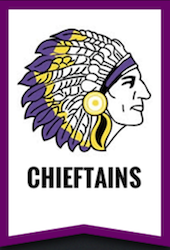 Listen to our preview of the Columbia River Chieftains by clicking on the PLAY BUTTON below. Steve Rooklidge and his Mark Morris squad had plans to make their two hour trek north to Kent from Longview worthwhile at the ShoWare Shootout against White River from the SPSL. The Monarchs wasted no time finding their groove as their pesky defense caused numerous turnovers leading to transition buckets. The ball movement by Mark Morris was phenomenal throughout the entire contest; making the extra pass, finding the open shooter. After one frame, Mark Morris built a seven point lead. White River certainly knew their size disadvantage going into this game would create matchup problems throughout and they would have to find other ways to battle the Monarchs. Unfortunately, Mark Morris’ sizzling shooting continued through the rest of the first half. Going into the break, the Hornets trailed by eighteen points. MMHS picked up where they left off in the second half as their jump-shots continued to fall and the stops on the defensive end led to high percentage shot in the frontcourt. Coach Rooklidge said he was pleased and even surprised how well his team was able to execute on both sides of the floor. Their ability to handle a talented White River team the way they did is a testament to an experienced Greater St. Helens League frontrunner. Both teams were able to finish with four players in double-digit scoring. However, the Eaton duo of Mark Morris both registered double-doubles as Kourtney knocked down 16 points and 11 assists while Karley scored 21 and grabbed 11 rebounds. Final score 75-53 in favor of the Monarchs.